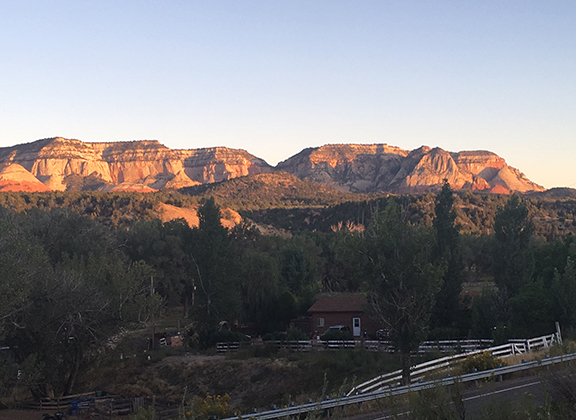 For the past several days we have had a stunning view of the cliffs across from Maynard Dixon's cabin. He did several paintings of this same view as you can see from the photos and the paintings. Great stuff all around. 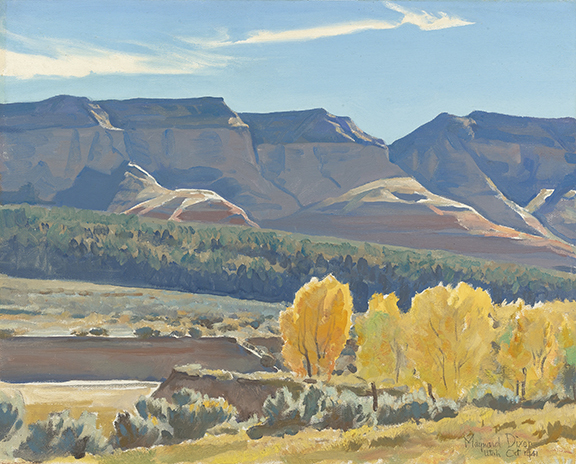 Maynard Dixon paintings of the cliffs across the valley from his cabin. 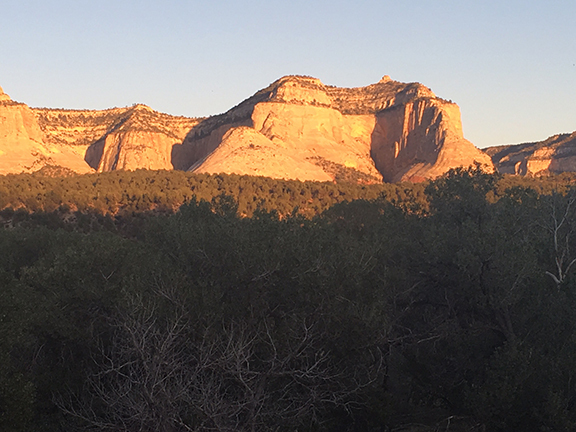 White Mesa at sunset on Wednesday evening. Sugar Something butte on the White Mesa range, also at sunset on Wednesday evening. 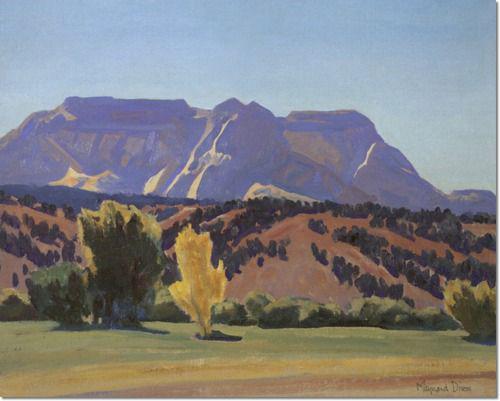 A stylized White Mesa in the Dixon painting over the mantel. "Good to go, good to come home."